What is the Date Field? 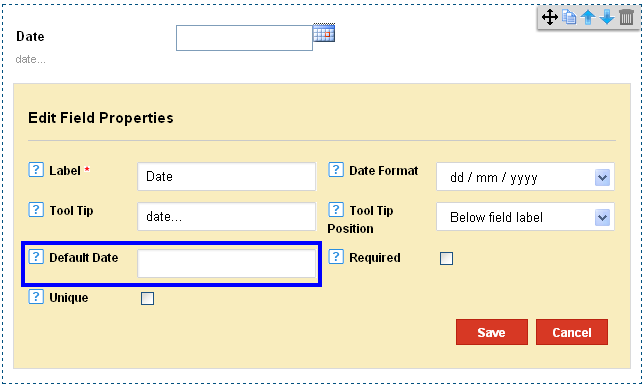 The Date Field would provide the form with a date entry to help users to enter date formats in the form. 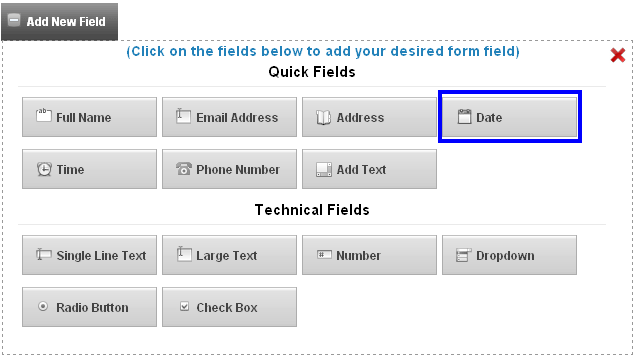 1) Click on Add Fields in the Form Editor. 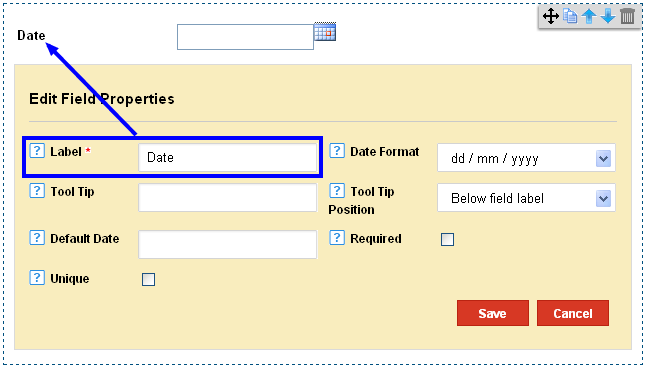 2) Click on Date Field in the Quick Fields Section. 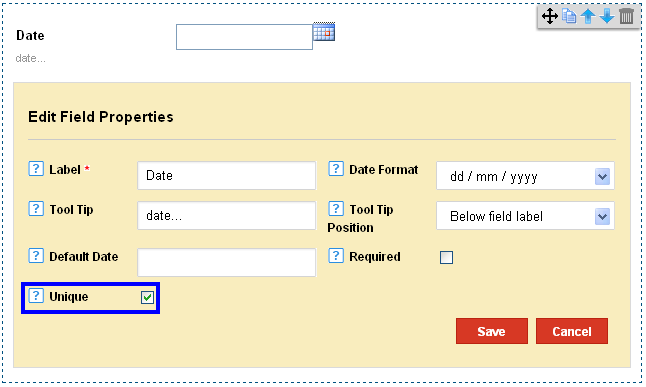 4) Click on the Date Format to set a format for the date entries. You can choose for a dd/mm/yy format or a mm/dd/yy format. 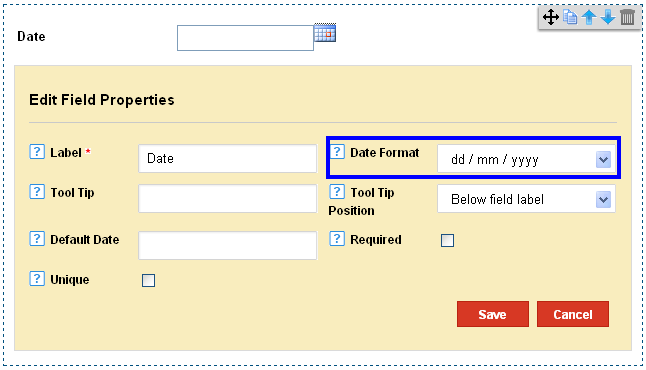 Dd/mm/yy – this format allows the date entries to be viewed as date/month/year. Mm/dd/yy – This format allows the date entries to be viewed as month/date/year. 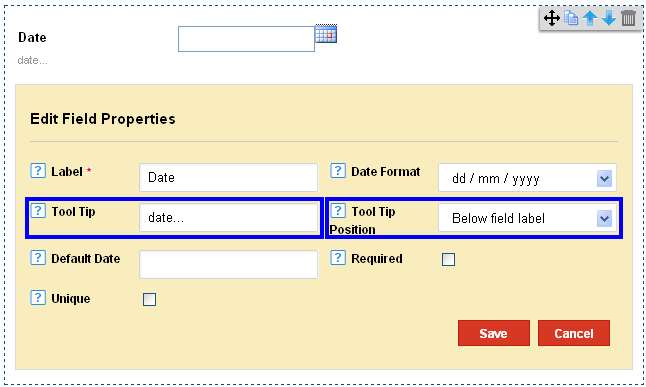 5) You can alter the Tool Tip Position to On focus or Below Field Label. On Focus – The Tool Tip appears when the user points a mouse to the Field Label. Below Field Label- The Tool Tip is always visible below the field label. 6) Set a Default Date. This is the date visible in the form prior to any changes entered by the user. 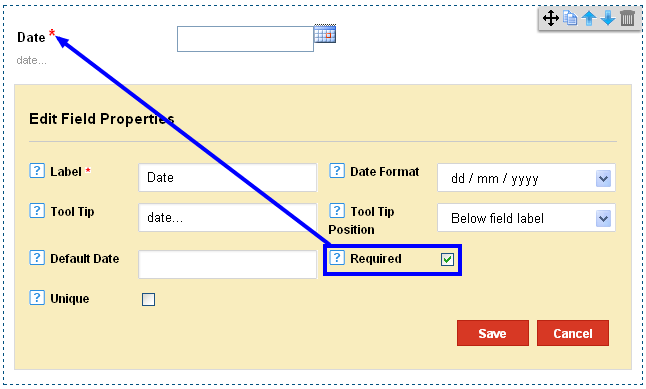 7) Check on the Required option to make it a mandatory entry field for users. 8) Check on the Unique option to make the field a unique entry option.